A possible solution to the impending replacement of the Virago might be my Dad’s old bike. 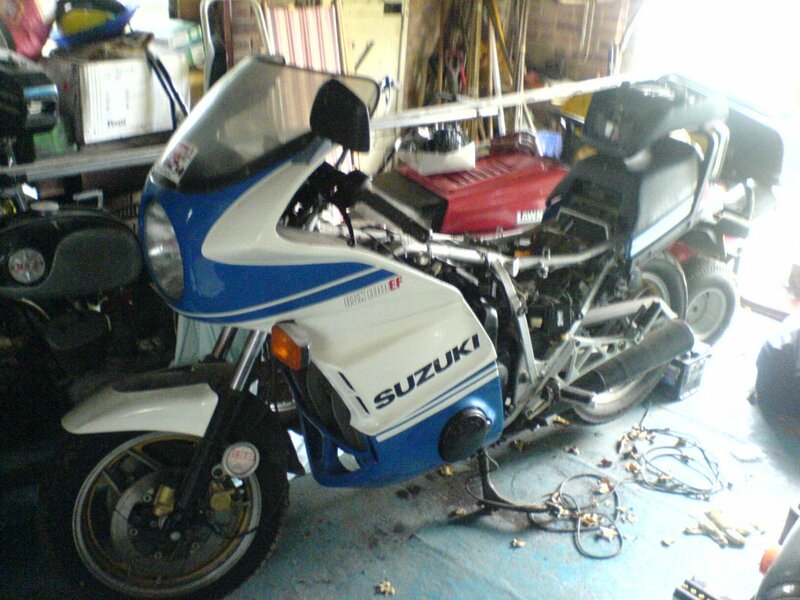 It’s a 1984 Suzuki GSX 1100 EF with only about 6000 miles on the clock. As you can see from the picture though there are several problems with it at the moment, it will start but cuts out when revved. Dad is having a look at it though so he shoudl be abel to sort it out eventually if he gets the time. It’s got a lovely big fairing although the overall look is very retro. It should go quite well though and I think it’s probably fairly comfy for long rides. Hopefully it will be the solution to my problem of having nothing at all to get around on.